In this post, you will learn how to adjust your autoplay settings for videos, and animated GIF images on Twitter, including turning off the feature entirely across Twitter’s mobile and desktop interfaces. Twitter introduced video auto-play in the summer of 2015 and framed it as “a more streamlined consumption experience”. The company enabled this feature by default to increase engagement, but some users hated the move. Thankfully, settings for video auto-play can be adjusted. Even better, you can choose video autoplay independently on twitter.com and Twitter’s mobile app. For instance, you can set videos to autoplay on your iPhone and not on the web. 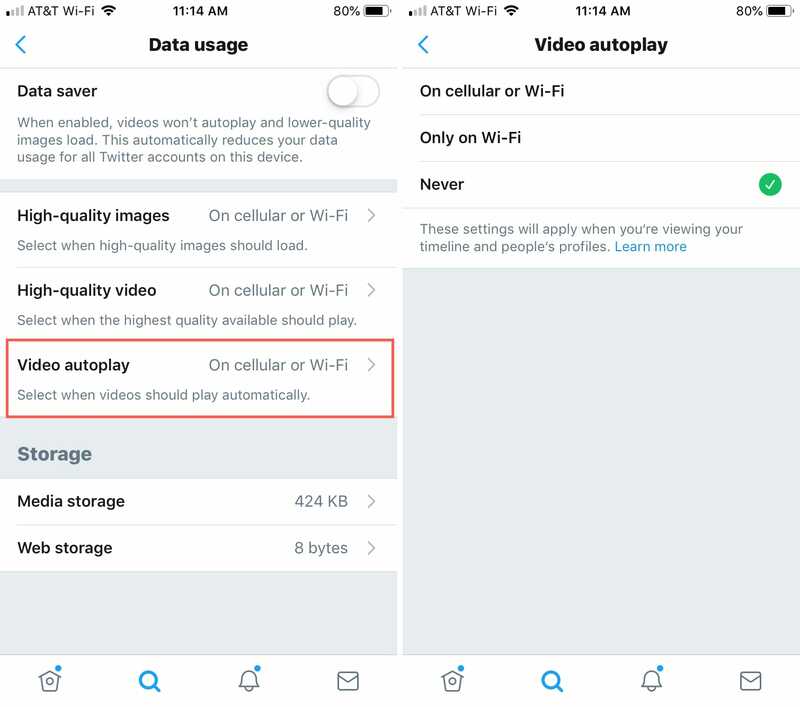 If you don’t want videos to play automatically, as you encounter them on your timeline, follow the steps outlined below to adjust video auto-play settings across Twitter. Step 1: Open Twitter’s mobile app on your iOS device. Step 2: Tap on the Your profile icon. Step 3: Now hit Settings and privacy and choose Data usage in the menu. Step 4: Tap on the Video autoplay. Step 5: You can now select between three options: On cellular or Wi-Fi, Only on Wi-Fi, and Never. Choose Never to stop Twitter’s native videos, and animated GIFs from auto-playing as you scroll through your timeline. I like autoplaying videos, but when I’m connected to my carrier’s data network I use the Only on Wi-Fi option to ensure that videos are loaded only when I’m on a Wi-Fi connection. Step 1: Point your browser to twitter.com and log in to the web interface with your account credentials. Step 2: Click on your profile pic at the top of the page and choose Settings and privacy from the drop-down menu. Step 3: Click Account in the lefthand column. Step 4: In the righthand column, scroll down to the Video tweets section under the Content heading and uncheck the box for Video autoplay. Step 5: Click Save changes. You may need to re-enter your Twitter password. “Regardless of your video autoplay setting, video, GIFs and Vines will always autoplay in Moments,” cautions Twitter. If you want my advice, you should restrict video autoplay in the Twitter app to only when you are on a Wi-Fi network, while leaving the feature enabled for Twitter’s web interface on your computer. As a reminder, Twitter currently supports MP4 and MOV video formats on mobile apps. On the web, they support MP4 with H264 encoding and AAC audio. You can upload videos up to 512MB, but they cannot exceed 30 seconds in length. The maximum supported video resolution on Twitter is 1,920-by-1,200 pixels. The maximum allowed frame rate and bitrate is 40 FPS and 25 Mbps, respectively. While we’re at it, we also have a tutorial explaining how you can stop videos from autoplaying in the Facebook app.